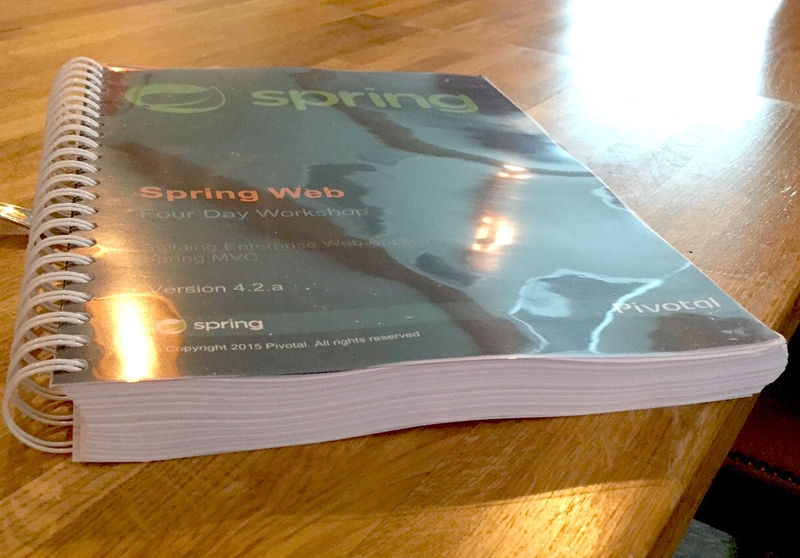 This post is a short overview of the Four day workshop about Spring Web. The full name of this course is Building Enterprise Web Applications using Spring MVC. I participated in the course this week. This is the latest version of the course. An exam aligned to this edition should be available soon. This entry was posted in Review, Software development, Spring, Web engineering and tagged pivotal, Spring, Spring MVC, Spring Web, training, Web, Workshop on October 16, 2015 by Tomek.